Just last week, Samsung revealed its revolutionary ‘Infinity Flex‘ display for a new smartphone. Unlike your normal phone with one screen, this new foldable device will have two screens. 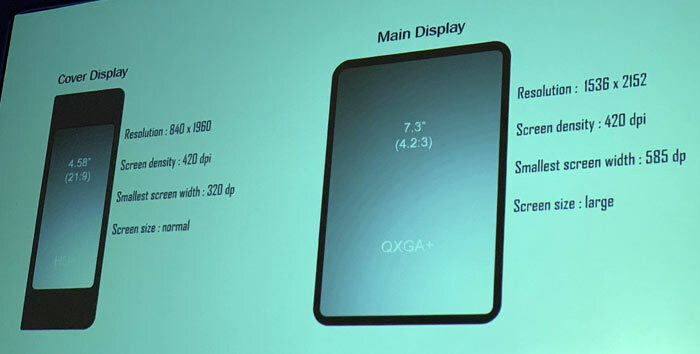 When unfolded, one screen turns into a 7.3-inch tablet-like device, ready for movie watching or typing. Once you are done with the tablet size, you can just fold it up and fit it in your pocket. These features all sound great and the technology behind them is unarguably impressive but now that we know the price range of this device, is it still worth it? The Yonhap News Agency reportedly has sources that predict the device will be named the ‘Galaxy F’. Additionally, they say that it will debut next March and will cost around $1,770! If this is the base model price, that means an upgraded model could cost around $2,000. While this isn’t an official price by Samsung, it does sound believable considering the features it has compared to its competitors. Smartphones like the iPhone made heads turn when prices hit $1,000 and now we may have hit a new high just for a phone. Those interested in getting their hands on Samsung’s foldable phone will have to wait and pray that the price will be less expensive than predicted. The ‘Infinity Flex’ display will obviously not be for everyone, as a bendable display really isn’t necessary for day to day tasks, but new tech always brings excitement. If you want to check out an alternative option, take a look at Royole’s bendable device, the Flexpai. Royole beat Samsung in creating a foldable display and they may even save you some money too!